40-year-old Adeline Keh, had been trying desperately to have a child, including years of failed IVF, but then she concieved naturally last year. 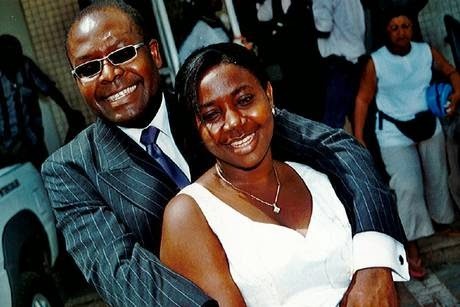 However, Adeline, a Jehovah's Witness, became critically ill after giving birth to her son Mawsi via caesarean section and died three weeks later after refusing blood transfusion treatments that could potentially have saved her life. “My wife and I were best friends. We had been trying to have a baby for some time but it had not happened for us even with the help of IVF. Then in 2013 my wife got pregnant without medical intervention and our only son was delivered by caesarean section. Mrs Keh remained in hospital after her son’s birth on September 18 to receive antibiotics for an infection. She developed acute respiratory distress syndrome and was transferred to Papworth, a specialist heart and lung hospital in Cambridge. An inquest last month found Mrs Keh died on October 19 from a combination of ARDS, sepsis, an infection in the caesarean wound and “refusal of transfusion on religious grounds”.